30th of June will see the beginning of the famous Goodwood Festival of Speed, which will last 4 days and culminate on the 2nd of July. The largest and most prestigious racing motor event of its kind, will once again be attracting scores of diverse classic sports cars and some new models that you won’t be able to see on the roads until next year. Like every year, you will be able to see a wide range of competition cars and famous drivers side-by-side. However, this year a very special treat awaits Ferrari fans – to celebrate its 70th Birthday, a grand display of the company’s magnificent motors through the ages will be presented at the festival. This is also a great chance to see and find out more about the all new Ferrari 812 Superfast, a road car made for those who want to hear and feel a sports car engine’s roar, no matter the tarmac. 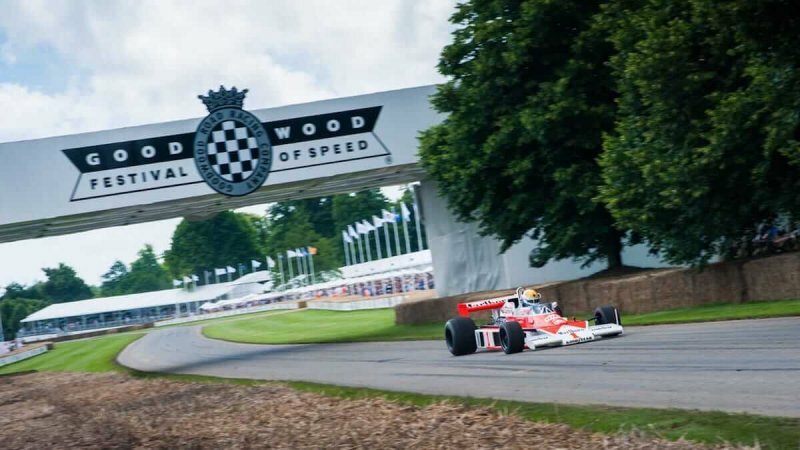 This year, Goodwood Festival of Speed has also chosen to celebrate the legendary driver and man who led F1 to become the most watched sport in the world, Bernie Ecclestone. As well as attending the event and giving a speech at the front of the Goodwood House, Ecclestone will be bringing a number of Grand Prix cars from his incredible private collection. The Central Feature of the event, a towering sculpture outside Goodwood House, will display cars from the five different chapters of his life, as driver, manager, team owner, impresario and finally as a legend of Motorsport. Hundreds of retro cars and latest models will be on display as well as performing in action on the famous Goodwood’s Hill climb. In addition to that, Goodwood also features an exhibition area, which features hundreds of motor sport related memorabilia, art, literature and much more – perfect opportunity for any racing world enthusiast to extend their collection or begin a new one. Goodwood Festival of Speed is certainly an event that you want to see double circled on a true sports car enthusiast’s calendar.